You have come to the right place to see collie puppies. 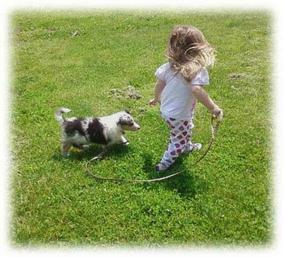 I breed AKC rough collies and I love it. Lassie was my favorite TV show! I even wrote an essay in the 60's to enter in a 'Win a Lassie' contest. 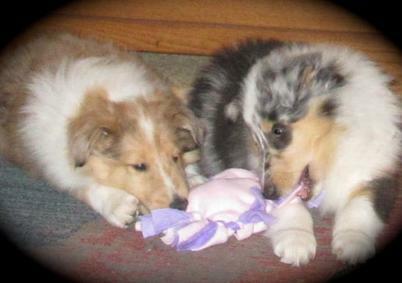 My husband and I have owned collies since we got married over 44 years ago. We moved to the country in 2000 and were able to set up a wonderful collie breeding program. The two paramount concerns for our collie breeding program are that our collie puppies are healthy and become a family member. Thank you for coming to Goldleaf Collies. This is the end of the first page, but we have so much more for you to see. Please save my site in your favorites folder and come back.